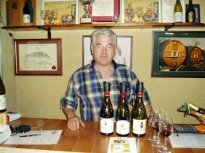 Raymond's son, Stéphane, produces rich, full, ageworthy Châteauneuf from vines over 50 years old. They tend to be jammy and juicy with a good amount of fat to cuddle up to yet more elegant than the wines from Raymond's brother Pierre Usseglio, for example. In addition to the excellent red Châteauneuf, the family also produces a limited production "Cuvée Impériale" from vines planted in 1901-1902 at La Crau, one of the most renowned lieu dits in the appellation, particularly highly regarded for Grenache. There is also a small quantity of improving white wine which is an ideal match for seafood and a delicious old vine Roussanne. 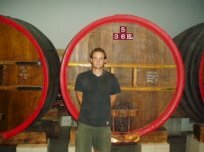 From 2007 Stef is also making (in good years) a superb Mourvedre dominated wine, not for the faint-hearted, called "La Part des Anges". The 1998 from this estate sold out very quickly after an excellent Parker rating and then winning "Coup de Coeur" in the 2001 Guide Hachette. Subsequent vintages have been very much in the same style, perhaps better. The Usseglio's 2002 was the only wines we tasted (and we tasted a lot) from that vintage that merited buying. 2003 - the heatwave year - produced big wines but, nonetheless, Stéf managed to keep the wines well-balanced and even the intense old-vine "Impériale" was not overblown or too concentrated, unlike some of the prestige wines produced elsewhere in the village. Elegance combined with concentration is, in our, view, a remarkable achievement and the mark of a truly fine wine. More recently, a hugely successful run of vintages ran from 2004 to 2007 with some astonishingly good wines made at this estate. Even the rain-soaked 2008 is worth checking out (the one recent vintage we do not have any stocks of) and 2009 was back on track: in our view, up there with the incredible 2007. 2010 is another superlative year, perhaps the best yet and 2011 is a good medium-term wine. You have been warned! Note: these are the same wines as those Parker refers to as "Cuvée Girard Non Filtré" which is simply a different label requested by the American importer.